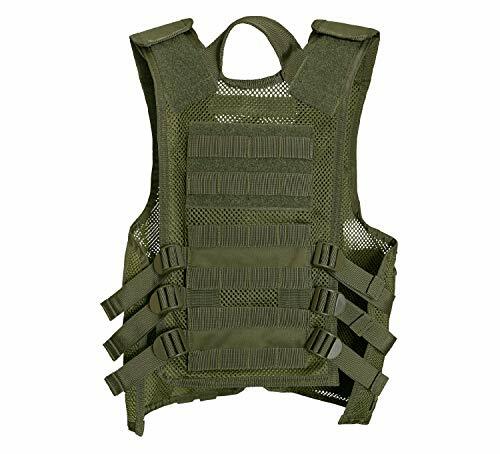 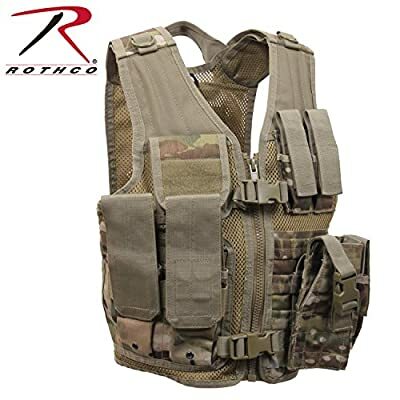 Rothco's Tactical Cross Draw Vest for kids has all the great feature as our adult version but is the ideal fit for young adults. 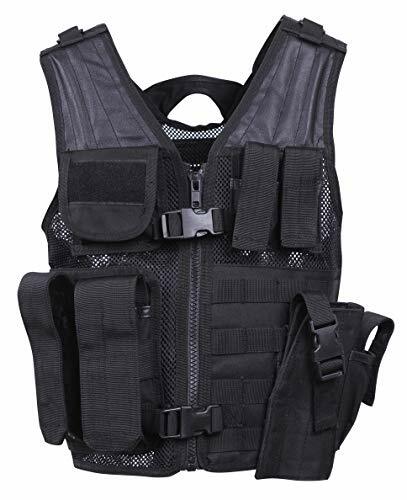 Features of the vest include 2 ammo pouches on the right side, above the ammo pouches; the right side has a large shell carrying pouch and a shooting pad. 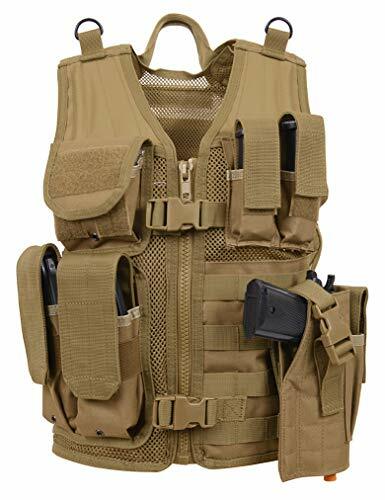 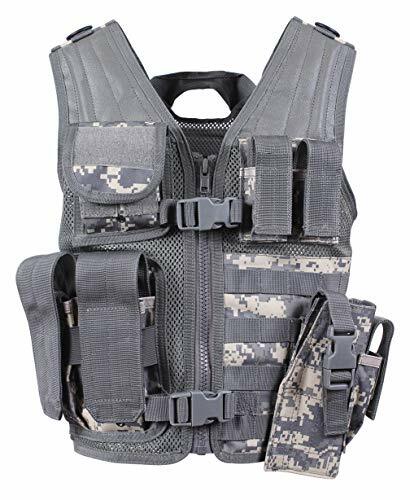 The left side of the tactical jacket features a pistol holster capable of carrying most medium-framed pistols, attached to vest with horizontal MOLLE straps , left side also features 2 pistol magazine pouches which are fully adjustable to the height of most normal-sized magazines.